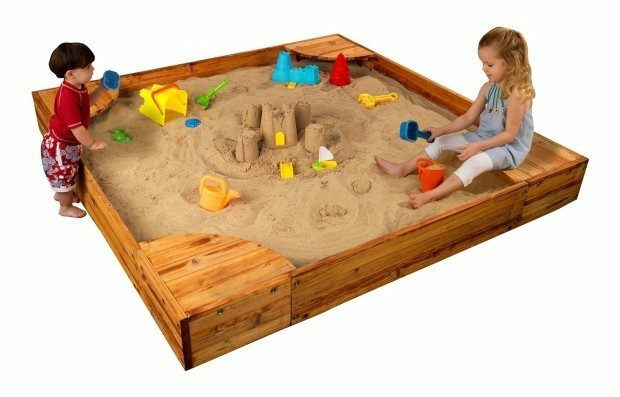 Kidkraft Backyard Sandbox Just $129 From Amazon! Down From $300! Ships FREE! You are here: Home / Great Deals / Amazon Deals / Holiday Gift Idea: Kidkraft Backyard Sandbox Just $129! Down From $300! Holiday Gift Idea: Kidkraft Backyard Sandbox Just $129! Down From $300! The holidays are approaching, so now is the time to start looking for fantastic deals! And this is a great one! Head over to Amazon to order a Kidkraft Backyard Sandbox for Just $129! Down From $300! Shipping is FREE! This is a really nice, solid looking sandbox!